ArabSaga: What is Egypt’s Gen. Abdel Fattah el-Sisi after? The formidable challenge facing the “two Egypts” today is to rescue politics from the street as the first step towards national reconciliation. The man central for finding the way to achieve this is Gen. Abdel-Fattah el-Sisi, commander-in-chief of the armed forces, long regarded as the sole political arbiter in Egypt. The army issued an ultimatum to Morsi on June 30, instructing him to respond to people's demands or step down within 48 hours. When he failed to do so, it removed him from office on July 3, appointed an interim civilian administration and issued a roadmap leading to fresh elections. The Muslim Brotherhood and its supporters have been protesting since. They insist that protests will continue until the military-backed administration steps down and the democratically elected one is returned to power. Egged on by anti-Morsi protesters as the savior of democracy, the Sisi-led military shows no signs of backing down. One question incessantly and markedly posed by all foreign intelligence agencies in Cairo since last June 30 is this: What is Gen. Abdel Fattah el-Sisi after? Is he power-hungry? Is he leading a military coup? Does he want to ride to the presidency on the back of a Military Establishment tank? The question puzzling everyone is: What does this man want exactly? Some in Egypt portray him as a revolutionary inspired by Nasserite thought who rallied the military. Others who support the Islamic current depict Sisi as a putschist who rode the revolution’s second wave on June 30. So is he a putschist who rode the revolution wave or a revolutionary who exploited the Military Establishment? In truth, or at least in my personal humble opinion, the man is simpler than this and that. Abdel Fattah el-Sisi is an Egyptian who comes from an above-average class, loves Egypt and is extremely loyal to the Military Establishment. Sisi is a prototype of the professional Egyptian army general who strives to uphold the clout, repute and role of the Egyptian Military Establishment, which has entrenched traditions dating back to 1805 and the launch of Muhammad Ali Pasha’s era. Sisi personifies a set of national and nationalist thoughts shared by the overwhelming majority of the soldiers and officers in the Egyptian Army. Sisi attended the U.S. Army War College, but he is neither America’s lackey nor her traditional enemy. 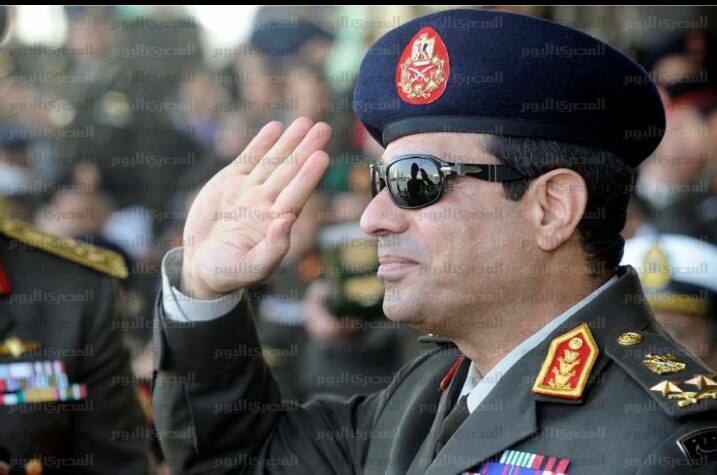 Sisi is an Egyptian nationalist committed to Egypt’s full sovereignty over every handspan of its national territory. Sisi is an Arab nationalist who believes in Egypt’s pan-Arab role but is not prepared to apportion Egypt’s security and independence to any Arab sisterly country, whichever it may be. Sisi’s moderation is epicentral in its political grasp of the nation’s territorial integrity and independence – this, without extremism or exaggeration and in the accompanying absence of laxity or dereliction. The second wave of the January 2011 revolution is what won the hearts of Sisi’s generation, which is the first generation to be in command of Egypt’s Military Establishment after replacing leaders of the 1973 October War. This is an exceptional and rare fusion in Egypt’s political life. So what does Sisi want specifically? You may not believe me if I told you that – other than seeing Egypt safe, secure and stable in a modern civil state where the army plays its constitutional role in safeguarding security and stability – the general wants to retire early. Sisi is not after power, money or fame. He is folksy in his love of Egypt and a Sufi in the matter of power. All this makes his profiles in foreign embassy reports totally inaccurate because it is difficult for a pragmatic and utilitarian mind to imagine a general who reached the helm on the strength of the street and the backing of a tank continue to yearn for nothing.